Home / FAQ / What is PPO insurance? PPO stands for Preferred Provider Organization. A PPO is a group of different health care providers that is put together by a health insurance company. 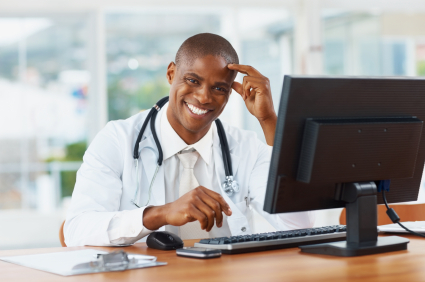 The providers in a PPO can be doctors, hospitals, clinic, and other practitioners. Any of the approved providers must enter an agreement with the health insurance company to provide services at a specific and predetermined cost to the health insurance customers. Is a PPO insurance plan right for you? Enter your zip code below to find affordable health insurance quotes in your area today! The set cost for certain services are not negotiable once the contract has been signed, so physicians and hospitals cannot charge more for care and services provided to insured individuals that are part of a PPO. What are the benefits of being part of a PPO? The benefits as an insured individual include knowing that getting a procedure done at a specific hospital or seeing a specific doctor will be covered by your insurance company. This way there are no hidden costs or surprise bills that will arrive once your care is complete. The benefits for the health insurance company include the ability to set payments ahead of time, work with specific care providers and hospitals, and offer customers the ability to be part of a health insurance plan that is comprehensive and complete. Does having a PPO help with any prescription medication costs? While it is difficult to determine how much will be involved with regards to cost savings, being part of a PPO will help as far as knowing which of your prescription medications will be covered. Certain medications can be very expensive, and health insurance companies are aware of the rising costs of prescription drugs. To help manage these costs, insurance companies can develop a list of prescription medications that are approved for payment by the health insurance. This ensures that there are no disputes or questions about what drugs are covered. This is also beneficial to primary care physicians in that they would know which prescription medications are covered and which are not when looking at what type of medicine to prescribe. Does using a PPO affect what I pay in health insurance premiums? If using a PPO does affect what you pay, it will most likely be a lot less than what you would normally pay. Since utilizing a PPO is actually beneficial to all parties involved, insurance companies tend to charge less to the consumers because there are limited additional costs to pass on. It is beneficial to learn about the different PPO’s associated with a health insurance company before making a decision as to which insurance company to go with. If you are insured through a PPO, you can choose a hospital, physician, or other medical provider either from the PPO group or from an out-of-network provider. While you may incur additional costs for using an out-of-network, you at least have the options of picking your provider. On the other hand, if you are part of a Health Maintenance Organization (HMO), you can only choose providers that are specifically in that HMO network. Another major difference between the two is that if you are part of an HMO you must select a primary care physician, while if you are part of a PPO; you can be treated by any physician. However, there will be extra costs associated with those visits if the provider is not in-network. Finally, in order to see a specialist, HMO patient must receive a specific referral from their primary care doctor to that specialist. In addition, the referral must be made to a doctor or medical provider who is also part of that HMO network. PPO patients do not need a referral to be seen by a specialist, although many specialists prefer a referral from a primary care doctor. However, some PPO’s will need a prior authorization before certain procedures such as a CT Scan because of the cost. Still have questions about where to find health insurance quotes? Enter your zip code now! Who should consider PPO health insurance plans?